One of the phrases that I occasionally hear or read in the newspaper here in Dallas, Texas, is the desire of the municipality to be a "world-class city." And I've never really found a good definition for what the speaker or writer means by that phrase. I get the impression that they think it means that Dallas should somehow be on the same level as cities like London or Paris or even New York. But it seems that becoming a "world-class city" always seems to involve spending huge sums of money on projects that are "artistic" without necessarily doing much more than "prettifying" the area. And so we come to the first of two bridges, the Margaret Hunt Hill Bridge over the Trinity River which runs along one side of downtown Dallas. It doesn't really connect to anything. You can get to it on the east end off of the Interstate highway I-35, but the west end of it feeds down into an ordinary street. It doesn't connect with the east-west Interstate highway; you can get to I-30 directly from I-35 about half a mile south of the exit for the Bridge. Then there's this other bridge, in the town of Sandwich in the county of Kent, England. Sandwich truly was a "world-class" city; it was one of the Cinque Ports in southeastern England, and thus was one of the major ports through which materials and goods and whatnot (for example, the elephant given to King Henry III in 1255 from the French king) traveled on their way into and out of the kingdom. 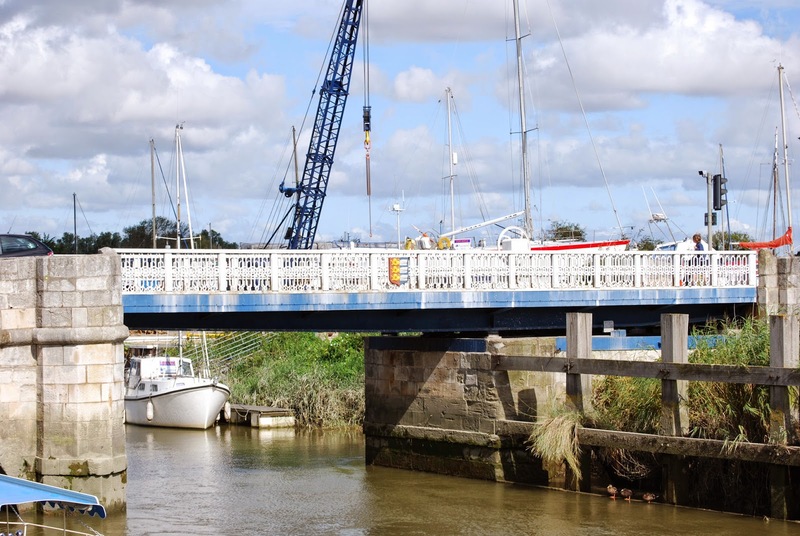 In the town of Sandwich, there is a bridge over the River Stour which, like the Trinity River in Dallas, runs alongside the city. This bridge isn't so large as the one in Dallas, and presumably it cost nowhere near as much to build, but it actually does go somewhere; it used to be the main bridge into and out of the city. It also used to be a toll bridge, but you can cross it for free these days. And the bridge in Sandwich has something else that the one in Dallas lacks (well, besides a long history): a coat of arms of the city. 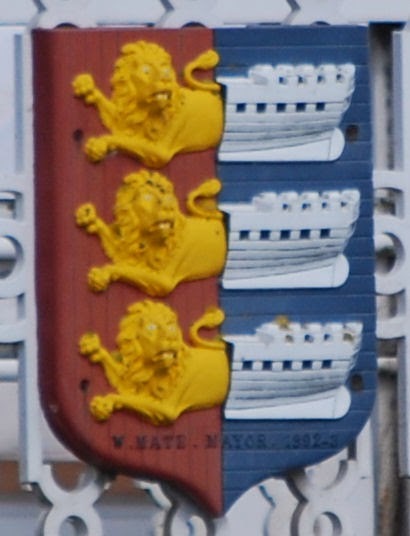 Blazoned as Per pale Gules and Azure three demi-Lions passant guardant in pale Or conjoined with as many sterns of demi-Ships Argent, this is a great rendering (dated 1892-3) in cast iron of the arms of Sandwich. 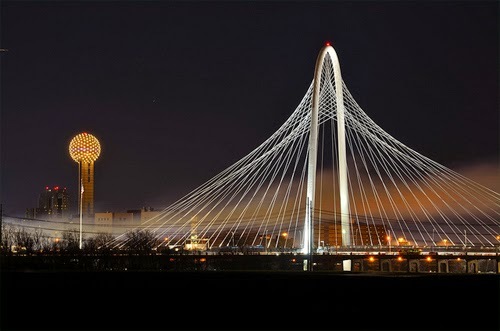 Maybe something like this is what Dallas needs to turn itself into a "world-class city;" a small but useful bridge with a nice display of heraldry on it, instead of a hip, modern, bridge to nowhere.